It has been almost two years since 1Click’s live video chat software came on the web portal. And fr a startup, we have garnered a good number of client list who are satisfied with our product and the features it produces. However, what about those customers who are mostly active on their mobile phones? How do we attract those customers? Well, in our features list, we had mentioned 1Click’s live video chat is completely device agnostic. This means that the software works perfectly fine on a HTML5 browser like Google Chrome and Mozilla Firefox, and also on a mobile phone. Now, 1Click has come up with an iOS application, which is available in the App Store. This iOS application enables developers to develop applications that enable these mobile users to experience the joy of real time face-to-face communication. The iOS application helps business’ improve online customer support and it helps them cater to both the web as well as mobile customers. The iOS application also provides customers with both video as well as voice messaging, hence increasing the choices available to the customers. Here is general overview on the iOS application 1ClickRTC. The iOS application, 1ClickRTC, works well on all versions of Apple models. It performs well with earlier models such as iPhone 4 and iPad 2 as well as the newer versions. For the older versions, the iOS application provides audio support and low resolution video, without compensating with the quality of the call. For example, 1ClickRTC’s API is designed to support the A5 chip of an iPad2, which is slower compared to the A5 or A7 chip. However, the best performance and experience can be felt using the newer versions. 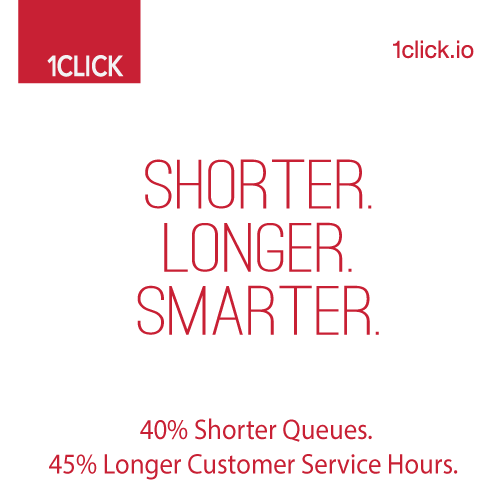 1ClickRTC is currently only be tested on the us.1click.io server, and not on the 1click.io server. The underlying codec of the iOS application is supported with 32bit. This 32bit application will support all the processing that is available on the new version of iPad. It will take sometime for the application to support the 64bit eco-system and it will be done soon. And similar to the web portal of the live video chat software, the number of multi-call facility at a particular time depends on the pricing plan chosen. For example, for a customer with the basic plan, i.e, $15 per month, 4 participants can be on a conference call at one time. On the other hand, with the $25 per month silver plan, the agent can conduct 8 multi-calls at one time. However, just like 1Click’s live video chat, the maximum number of concurrent peer-to-peer communication is 12-15, which can be decided using the enterprise pricing plan. Here is a brief step-by-step guide on how to attain the iOS application API. Like I mentioned earlier, the iOS application 1ClickRTC is now supported only the us.1click.io server. So the first step, obviously, will be to sign up on us.1click.io. Once the sign up is done, the customer is provided with the API access key. This key will enable 1Click to identify the app used by the customer, and hence allow complete access to the resources available of the iOS application. In case of any doubts about the API, there are README(s) documents that will help the customer understand the API completely. Once the API is received, the customer is free to create rooms. This room can be created using the createRoom API. This API helps in creating room with a peer configuration of 512kbps and size 2. This means that only two people can be involved in the call at the same time. The customer should keep in mind that the name of the room needs to be alphanumeric and should not include special characters. In case the customer wants to conduct more than two multi-calls at a time, there is a separate API for the same, which can be created using createRoomWithSettings option. This option can support up to 13 multi-calls simultaneously. However, there is no option to adjust the resolution of the video call, which will be picked up by the server based on the bandwidth. However, for better option for a peer-to-peer call, 1Click reccomends the createRoomWithSettings API over the createRoom API. Another feature of 1ClickRTC that will be soon launched is the push to talk option. This enables customers to record a call. The customer can also choose between the front and back camera during the call. Once the file is saved in the data store, the file can be shared to clients and within employees in the company. One unique feature of the 1Click Record is that the saved file is a merged footage shot with the back and front camera, i.e, if the customer shifts between front and back camera, the footage shot on both the cameras will be saved as one clip file. The customer can then share this file as and when s/he desires. Now, iPad and iPhone users too can experience the art of face-to-face communication in real time. 1Click’s iOS application, 1ClickRTC, provides all the resources required for developers to develop an app that will enable everyone a chance to experience the clarity and magic of video calling. This entry was posted on September 18, 2014 by Deepthi Ramdas in 1Click Blogs and tagged 1ClickRTC iOS application.